to strategic communication and social change. Is corporate sustainability reporting a great waste of time? January 2015 -What could be less sustainable than reams of reporting that no one reads? That’s the concern voiced in a recent report by strategic thinktank and consultancy SustainAbility, which warns that companies are wasting time and money creating sustainability reports that aren't effective. Companies’ conflict mineral reports are mixed as SEC deadline passes. June 2014 - While some US companies are racing to the wire to file their first ever conflict minerals reports, due to the US Securities and Exchange Commission today, those filed so far range greatly in clarity and detail. Conflict minerals reporting deadline: is your business ready? May 2014 - The looming deadline for disclosing the use of conflict minerals from the Congo is generating mixed responses from US businesses and experts. Here are some reactions and advice. SEC: US companies not required to identify products with conflict minerals. May 2014 - The US Securities and Exchange Commission has halted part of its controversial rule - at least for now - but will still require some company disclosures starting 2 June. How UC Berkeley MBAs beat the market with a socially responsible fund. April 2014 - The University of California at Berkeley has a long tradition of activism and social engagement, but few would expect to see its MBA program embracing that ethos. Are there carcinogens in your soda? January 2014 - Consumer Reports has asked the California Attorney General to investigate its claims that PepsiOne and Malta Goya sodas contain concerning levels of chemical linked to cancer. Might new financial tools translate ESG data into real-world loss and profit? November 2013 - Materiality matters: Data collected from ESG factors can say a lot about a company's management – and the Bloomberg and Thomson Reuters new data terminals mean to say it all. 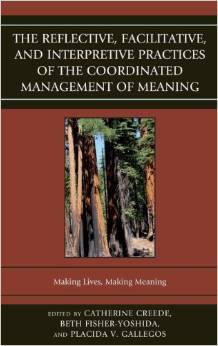 "The Reflective, Facilitative, and Interpretive Practice of the Coordinated Management of Meaning: Making Lives and Making Meaning" - Over twelve contributors write about practical applications of the theory of Coordinated Management of Meaning (CMM). In the facilitation section, CMM creates dynamics within groups leading toward improved ways of working together; in the interpretation section CMM offers alternative frames to interpret interactions with one another; and in the reflection section CMM is a means to reflect on experiences and interactions to deeper levels of understanding and learning. CMM is grounded in social constructionism, takes a communication perspective and provides concepts and tools for making better social worlds. 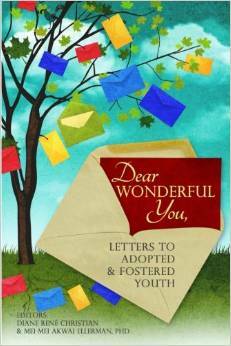 "Dear Wonderful You, Letters to Adopted & Fostered Youth" is a powerful book filled with thoughtful and inspiring letters. This anthology was written by a global community of adult adoptees and adults who were fostered. Each letter was penned to the upcoming generation of adopted and fostered youth. The mission of "Dear Wonderful You" is for all adopted or fostered youth to feel embraced and guided by the incredible letters contained inside. The writers’ want every young reader to know they have a network of support who “get it,” “get them,” and have been in their shoes. 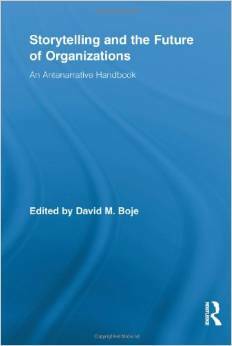 "Storytelling and the Future of Organizations" - Organization and management studies have overwhelmingly focused to date on rational narrative structures with beginnings, middles, and ends, where narrative has proved to be a handy concept in qualitative studies. Far less attention is given however to the more spontaneous and ‘non-staged’ storytelling that occurs in organizations. Jeff is also the author of "The Coordinated Management of a Culturally Diffused Identity: Internationally Adopted People and the Narrative Burden of Self" - Internationally adopted persons confront multiple challenges in constructing their identities. This study of the narrative burden of self looks at and interprets the dynamic process in which internationally adopted people develop, coordinate and manage their sense of self, identity and cultural/racial personhood.